It has been reported that the New York legislature has pulled a bill that would have updated, and greatly expanded, the right of publicity in New York. (Terri previously blogged about this legislation). Before it was pulled, the bill had passed the New York State Assembly and was pending before the New York State Senate. A number of groups (ANA, MPAA, EFF, among others), media companies, and scholars opposed the bill due to concerns about its chilling effect on free speech. To incentivize investment: Analogizing (to a certain degree) to copyright and patent law, some argue that the recognition of a post mortem right of publicity provides additional incentives for actors, musicians, athletes and other celebrities to excel in their chosen fields. It is debatable whether the famous need additional incentives (isn’t fame and fortune during a lifetime enough?) and whether, as a factual matter, the recognition of a post mortem right of publicity would actually motivate celebrity behavior that ultimately benefits society. Do you think that Cardi B is going to work harder – perhaps making more and better music for the world to enjoy – because she knows that her great, great grandchildren will be able to profit off her famous face long after she has gone to her reward? Reasonable minds can differ on the answer to that question. To protect dignity interests: A compelling case can be made that any person (celebrity or not) should be able to control, during her lifetime, whether her name and likeness is exploited commercially. Most of us would rather not see our images used in an advertisement for a product without our permission (and without compensation). But after death? I suspect that the dead celebrity will be distracted by the many pleasures of the Good Place and won’t care a whit whether her likeness is exploited commercially on earth. But what about her heirs? Defamation claims are extinguished at death because we have concluded that, on balance, free speech concerns trump any potential interest a dead person’s relatives have in protecting the reputation of the dead. The policy question is whether similar free speech concerns should limit the recognition of the right of publicity to an individual’s lifetime. To prevent consumer deception: Some argue that the recognition of the right of publicity is supported on policy grounds because it protects individuals (and ultimately consumers) from potential deception. If the law did not prevent it, the argument goes, many advertisers would, without permission and with impunity, use Kim Kardashian’s name and likeness in their campaigns, leading consumers to believe that Kim endorses the brand/product in those campaigns, even when that is not the case. However, after a celebrity dies, is this kind of consumer confusion likely? For example, when consumers see Audrey Hepburn seemingly brought back to life in a commercial for a chocolate bar, they surely aren’t duped into believing that Ms. Hepburn herself has endorsed the candy from the Great Beyond. It is possible, of course, that some consumers might believe that Ms. Hepburn’s heirs endorsed the candy bar. However, given that most consumers would not be able to identify Ms. Hepburn’s heirs, and given that other consumer protection laws exist to address cases of actual deception, it is at least open to debate whether the desire to avoid consumer deception actually supports extension of the right of publicity beyond death. Thus, at least for now, the status quo remains. 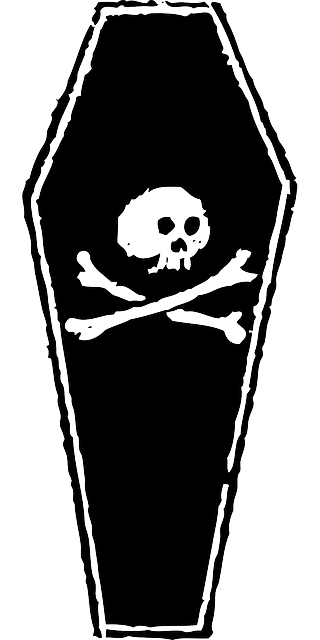 Approximately 25 states, either by statute or common law, have recognized a post-mortem right of publicity. So, unless and until a federal statute is enacted to preempt state law (which is not likely to happen anytime soon), an advertiser doing a national campaign featuring an individual who has shuffled off the mortal coil must take into account this patchwork of protection provided by the states. "As Coroner I must aver, I thoroughly examined her. And she's not only merely dead, she's really most sincerely dead."